Courtney Coaches Fleet List: YE52 FHD was returned to Dawson Rentals in June 2007, whilst X752 HVL was sold to Holman, Mary Tavy in March 2008 and X754 HVL to R&R, Warminster in July 2007. It appears that X118 HBF may never have been part of the fleet. Thanks to Derek Bradfield for this. Stagecoach in Oxfordshire and Warwickshire Fleet List: 15438 is KZH and 15443 is KZK, meaning that 15431 must be KZC. 15431/38/42/43 had all entered service by today. 15440 has still to be delivered. News Page: Turnham's Farm - Old and New with photos of No.15 (2) and 856. Reading Transport Fleet List: 857/9 have now been delivered. 52 has also been delivered to Reading for preparation. New from Travel London are Dennis Dart / Plaxton Pointer 2 S516/7 JJH for the training school. 631 had returned from loan to Newbury by today. 701/2 have departed for MASS, Sheffield via Ensignbus (dealer) and 704/6/7 have been withdrawn. 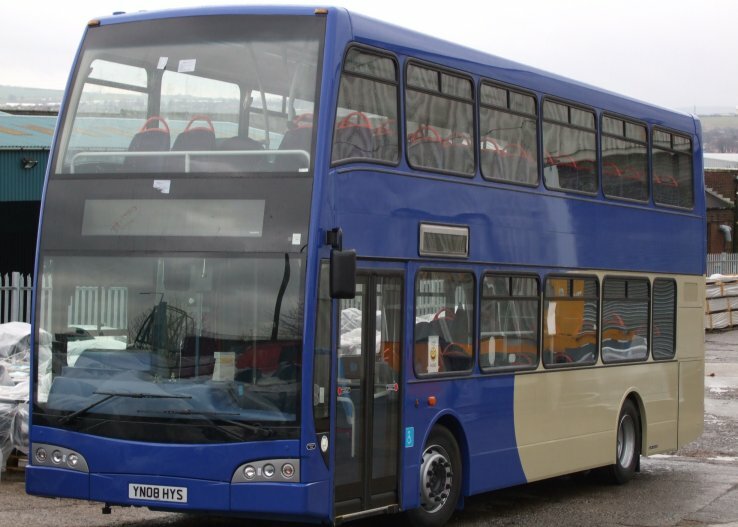 Reading Transport Fleet List: The arrival of 610 has been delayed, and is now expected in mid April. Thanks to Brian Coney for this. Reading Transport MCW Metrobuses: 455 was withdrawn on 25th February and was replaced by 468 the same day. Thanks to Brian Coney for this. Reading Transport Wright Meridians: NEW PAGE! 52 arrived on 25th. Thanks to Brian Coney for this. First Berkshire Fleet List: 41267 is registered T267 JLD and is B22D. The livery on 20367 is a revised Greenline livery. Thanks to Brian Coney for this. Reading Transport Fleet List: Two further Scanias were scheduled to arrive yesterday afternoon, and potentially another three by the end of the weekend. First Berkshire Fleet List: 20367 has been repainted into a two-tone green livery. 64810 now appears to have finally departed Bracknell after its withdrawal back in December. Thanks to Ian Mihell for this. 64005 has transferred from Lea Interchange to Slough for route 335. Thanks to Keith Nason for this. Courtney Coaches Fleet List: New are Optare Solos YJ08 PGU/V. Thanks to Ian Mihell for this. X118 HBF, X752/4 HVL and YE52 FHD were all withdrawn at some time in the past. Thanks to Derek Bradfield for this. Courtney Coaches Fleet List: S847/853 DGX have returned from Southdown PSV apparently unsold. Meanwhile CL52 CCL & KX53 SBZ have been sold. Thanks to Derek Bradfield for this. Thames Travel Fleet List: 67 and 383 have been advertised for sale in the trade press. Weavaway Travel Fleet List: NBZ 70, NDZ 70, YN55 PYZ, YN55 PZB/K/S/T have all been advertised for sale in the trade press. Stagecoach in Oxfordshire and Warwickshire Fleet List: 15438/43 were delivered on 20th. 18397 was de-branded today whilst 18396 was done on 19th. 18395 transferred from Oxford to Witney on 20th. 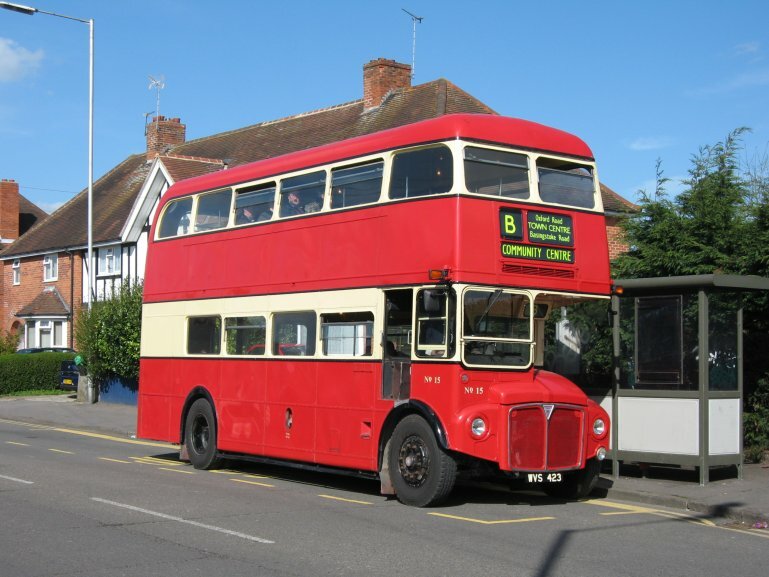 Reading Transport Fleet List: 855 is reported as having joined the fleet on 13th with two more due to arrive today. 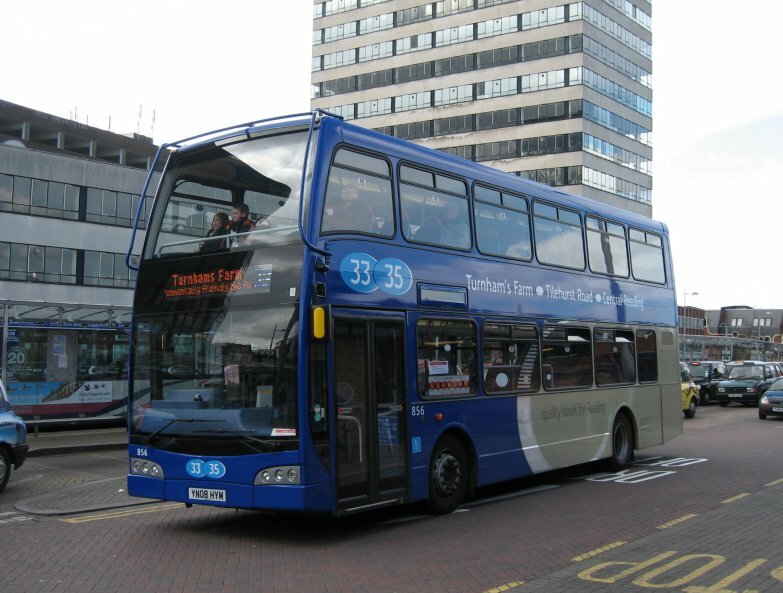 Reading MCW Metrobuses: New photo of 458 in Birmingham added. Thanks to Neil Reynolds and David Settle for this. Oxford Bus Company Fleet List: New in the next couple of weeks will be Volvo B10B / Plaxton Panthers 91-99 AA-HH, JJ08 OXF. 613/15/16/17/20/29-33 were withdrawn in February following the arrival of 860-70. 67/8 were withdrawn and sold to Alliance & Leicester (dealer) in January, 17 to Browns Executive Travel, Birmingham in February and 12/71 to Llew Jones, Llanwrst also in February. Meanwhile 14/5 were sold to Ventura (dealer) back in September 2007. 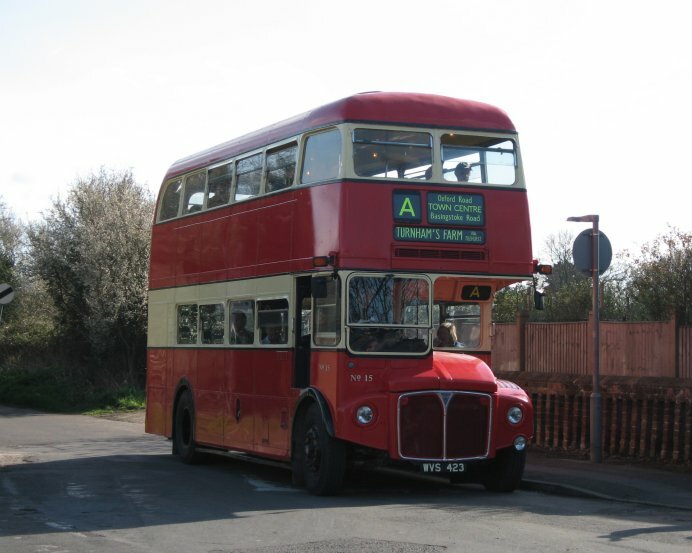 635/39/42 have been repainted into red Oxford Bus Company livery. Ford Transits 951-4 were withdrawn and replaced by 955-8 at some point and 981/2 withdrawn. Another addition is Ford Transit 999. 608-11 are no longer with Go West Midlands, and are shown on the list of vehicles out of service at Oxford. Stagecoach in Oxfordshire and Warwickshire Fleet List: 15437 entered service at Oxford today, and 15441 is ready to enter service tomorrow. 18393 transferred from Oxford to Witney today. 18394 lost its branding for route 27 today pending transfer to Witney later this week, and 18395 similar this evening pending probable transfer tomorrow. Courtney Coaches Fleet List: The two new ADL Enviro 200 Darts have now arrived and entered service in Basingstoke registered KX08 HMD/E. Thanks to Derek Bradfield for this. Stagecoach in Oxfordshire and Warwickshire Fleet List: 15435 is KZM. Thames Travel Fleet List: The new MAN is AE08 DLD not DRD. Thanks to Ben Morrell for this. First Berkshire Fleet List: 41262 and 41353 finally departed Slough last week, and 41267 had arrived from Alperton in their place by 10th. Thanks to Keith Nason for this. New is Mercedes Citaro LK08 FNL. Thanks to Stephen Le-Bras for this. It is to be numbered 64042. Thanks to Keith Nason for this. Reading Transport Fleet List: 854 was in service today. Thanks to Derek Bradfield for this. First Berkshire Fleet List: 64014 has received new '7 series' branding. Thanks to Stephen Le-Bras for this. Reading Transport Fleet List: 121 has been renumbered 126 and 599 is to return to Scania shortly. In a change of plans 860/1 will now be delivered in generic silver livery instead of maroon. Instead six of the route 17 OmniDekkas will be repainted into maroon once the new ethanol Scanias have settled into service, and generic vehicles will fill-in until then. 840 is also to be repainted out of Loddon Bridge livery into generic silver at the end of March when the 500 will revert to its original route omitting Winnersh Triangle. 852-4 have now been delivered. Reading Transport Fleet List: 852 was in service today. Thanks to James Cusworth for this. 853 was also in service today. Thanks to Simon Oliver for this. Reading Transport VanHool Aliz�es: 238 was sold to RB Travel, Kettering. Stagecoach in Oxfordshire and Warwickshire Fleet List: 15435 entered service today. 15437 is KZE, 15441 is KZB and 15442 is KZN. First Berkshire Fleet List: 64019 has been repainted into blue from Heathrow Link livery. Thanks to Stephen Le-Bras for this. Stagecoach in Oxfordshire and Warwickshire Fleet List: 15432/3/4/6/9 entered service today. 15433 is KZF and 15439 is KZJ. News Page: Dark Blue Olympus Preview with photo of 855. Thanks to "Bunny" for this photo. Oxford Bus Company Fleet List: 640 has been repainted into red Oxford Bus Company livery. Thanks to Gavin Francis for this. Reading Transport Fleet List: 856 has been registered YN08 HYM rather than its original 57-mark. Meanwhile 238 departed for a new home on 5th. Thanks to Mac Head for this. 856 was noted in service today. Stagecoach in Oxfordshire and Warwickshire Fleet List: The registrations for 15431-43 will not now be in order. 15432 is KZL, 15434 is KZG and 15436 is KZD. Reading Transport Fleet List: A further Scania arrived on 4th, and a further three are expected by the weekend. Meanwhile 856 should be in service soon. This second half of the batch have Esteban seats following the collapse of MTB who manufactured the seats on the first batch. Courtney Coaches Fleet List: S854 DGX has been sold to Fargo, Bracknell. Meanwhile S857 DGX joins S847 DGX for sale at Southdown PSV. Thanks to Derek Bradfield for this. Stagecoach in Oxfordshire and Warwickshire Fleet List: KX08 KZA/H are to be out of sequence - KZA will become 15440 and KZH will become 15431 so that the vehicles fitted with Wi-Fi will be in a continuous sequence. Stagecoach in Oxfordshire and Warwickshire Fleet List: 16078 has transferred from Leamington to Stratford. 20208 has gone from reserve at Leamington to service at Stratford and has now had its branding for routes 56/57 removed. 20212 has been transferred from Nuneaton to Leamington, and presumably has lost its MegaPanel for Text 2 Talk. 20225 has gone from Stratford to reserve. Reading Transport Fleet List: 1024 has returned from repaint and awaits branding for the 20/21 before re-entering service. Reading Transport MCW Metrobuses: New photo of 468 at Newbury added. Thanks to Brian Coney for this. First Berkshire Fleet List: Loaned 41262 and 41353 appear to have remained at Slough. Oxford Bus Company Fleet List: In a correction to the previous update, 855-9 retain city 13/X3/X13 branding and 828-34 wear Oxford Bus Company livery without any city branding. Thanks to Chris Maxfield for this. Stagecoach in Oxfordshire and Warwickshire Fleet List: Scanias five and six arrived at the Scania dealership in Banbury on 29th (rather than the depot), and were moved to Oxford today. Meanwhile the seventh and eighth examples arrived at the dealership today. Thames Travel Fleet List: 957 is B38F. Thanks to Ralph Adams for this. 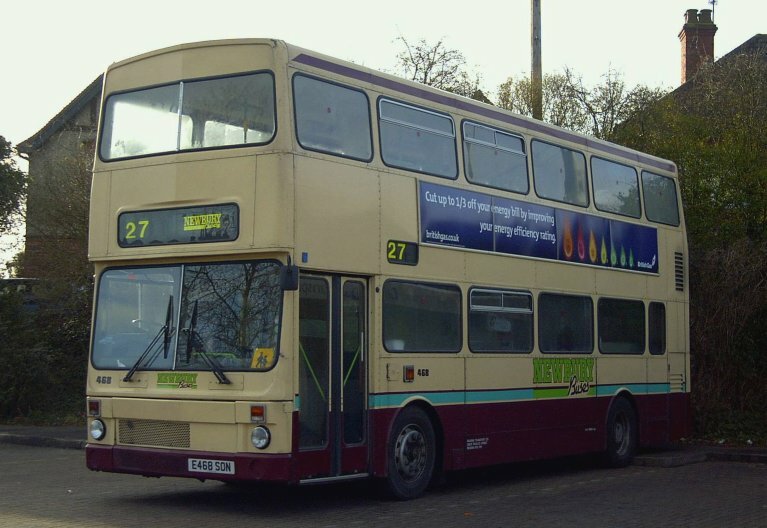 Reading Transport Fleet List: The exact date of the swap of 455 and 468 was 26th. 856 was due to be delivered to Reading today. The rest 852-5 and 857-61 will now receive 08-plates YN08 HYO/P/R/S/T/U/W/X/Y. Thanks to Brian Coney for this. Reading Transport MCW Metrobuses: 455, 459 and 466 left for their new homes at Visibuzz on 28th and 461, 463 and 465 on 29th. Thanks to Brian Coney for this. 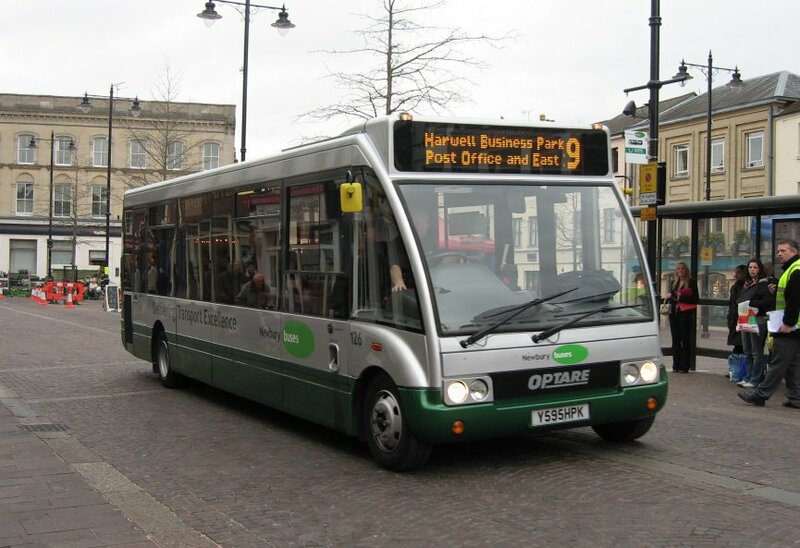 First Berkshire Fleet List: Loaned 41262 and 41353 have to return to London this weekend, but it is hoped that another dual-door Dart can be sourced to replace them during the rest of the Citaro repaint program. Thanks to Brian Coney for this.